Select a department to view contact information. Attends administrative needs to the City. Office includes: City Manager, Assistant City Manager, City Attorney, City Clerk, and Public Information Officer. Administers, appraises and assesses taxes in the City. Plans for the development of the community. Serves as an active partner for businesses in the City. 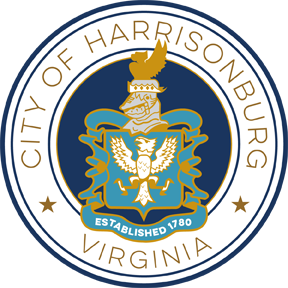 Responsible for the accurate and timely reporting of all financial information for customers and the City including assisting with the preparation of the city budget. Serves the public in protecting them from the loss of life and damage to property through fire prevention and fire suppression. Provides state of the art emergency and non-emergency communications services. Receives and dispatches 9-1-1 calls. Administers programs and services for the city workforce of approximately 550 employees and staff. Department provides infrastructure support, technology solutions and planning, website support. Provides leisure services and maintains safe public facilities for the use of enjoyment by the community. Provides the community with professional, ethical, and efficient service while preventing crime, maintaining order and protecting life, property, and constitutional liberties. Provides bus services, including school bus and paratransit services. Provides water and sewer services. Maintains the City's infrastructure and provides services such as (including but not limited to) trash and recycling collection, city streets maintenance, traffic signs and signals, and transportation planning. Oversees and audits all city purchases and payments for goods and services. Maintains all real property records for the purpose of assessment and taxation. Promotes and develops tourism initiatives for the City. Collects tax bills for the City. Provides voting services to Harrisonburg residents.